To Diane, her real estate career is both a dream-come-true and a mission. Born with creative talent, after a short course in high school, her first full-time job was as a graphic artist in the flexible packaging industry. There, others noticed her ability to manage details with ease and she was soon asked to join the company's production scheduling and inventory control team, where she coordinated an entirely manual system of accomplishing the company's projects efficiently on time, while keeping an accurate accounting of its ever changing finished goods inventory. Encouraged by her abilities with numbers and love of business, Diane began pursuing a degree in accounting, part-time while continuing to work full-time. After four years of being a bookkeeper by day and a student by night (completing a minor in accounting), she changed her degree program to communications (marketing) to better allow her to capitalize on her natural creativity. After ten years of part-time evening college attendance, she graduated from Aquinas College, on the Dean's List, with a dual degree in business administration and communications, along with a minor in accounting. Although she began her post-college employment in marketing, within a couple of years she transitioned to human resources management and found a role which required both a high level of creativity and skilled coordination of systems, processes, details and people. Over the next fifteen years, she established two human resources departments from scratch, advanced an established, but complacent, human resources function to one of effectiveness and relevance, and took over an ISO failing quality management function, turned it around and achieved full ISO compliance in one year's time. As a member of the management team in both non-union and unionized manufacturing companies, she excelled in problem-solving, negotiation, and influence. Being a life-long learner, she completed a master's degree in human resources with a 4.0 GPA in 2006. In 2008, she left corporate America to pursue self-employment. She and her partner, Rob Glessner, built a promotional products dealership which consistently ranks in the top ten percent of dealers in the U.S. During this time, she wore many hats and used the opportunity to hone her marketing and sales skills. After much self-reflection and research, real estate, as a career path, has been on Diane's wish-list since 2001. Due to life's ups and downs, the stars never quite aligned to make it possible until 2015, when her partner pointed out to her that the perfect time to pursue her dream had come and pledged his ongoing support. With the excitement of a child opening the Christmas gift they had hoped for and the urgency of a woman with her hair on fire, Diane wasted no time learning what she needed to know to "open up shop" as a Realtor. After getting her realtor's license and affiliating with first Keller Williams Realty, followed by Midwest Properties of Michigan, she set about creating a realty business, unlike any other. With advocacy, integrity, and service being her priority values, she decided to specialize and build her business around helping adults (ages 50+) transitioning into a different lifestyle. These people might be empty-nesters moving to a smaller condo or seniors transitioning from a home they have lived in for 30+ years to a smaller retirement community unit. As a result, she understands the unique needs of downsizers (young and old) and has created a specific program for doing so, with a "smooth move" as her ultimate goal. In early 2018, Diane passed her Broker's Exam and, shortly after, Culver Realty LLC was born. Among the advantages of listing with Diane are her sales/marketing expertise, her full range of services, and her capacity to sell the property at the highest price possible to net her clients the most money possible. She is known for exceeding expectations for service and communications. And, you will find her to be a genuinely caring, trustworthy professional. 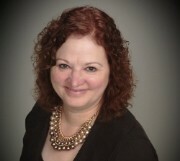 For a FREE, no obligation home evaluation and consultation, contact Diane.